If you are like most people, you have an idea about bankruptcy. The word “bankruptcy” in print or being spoken elicits a response. You have a negative feeling about the word bankruptcy almost immediately. It brings about bad thoughts and sensations in you that is not too uncommon for most folks, but why? Bankruptcy isn’t illegal, immoral or unfair to anyone. It is our right as Americans granted to us by our laws and is a practice performed millions of time each year by individuals and corporations from sea to shining sea. Our idea about bankruptcy comes from a board game called Monopoly. Yup. A simple family board game that has been around since the 1920’s. 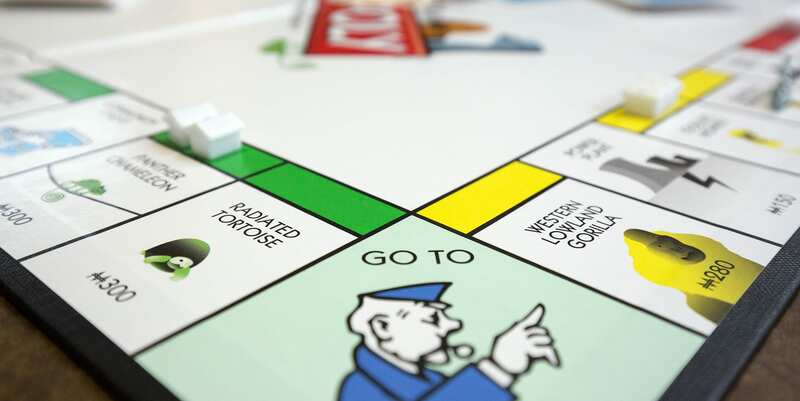 But did you know the the game’s designer, an American woman named Elizabeth (Lizzie) J. Magie Phillips, originally created the game in 1903 to demonstrate the negative effects of concentrating land in private monopolies? It wasn’t (at least originally) a game designed to make being a Monopoly a desirable status. It was designed to show that someone was going to lose and most likely… lose it all. So what? Winning is better than losing. We all want to win at Monopoly. We don’t want to be the one having to mortgage properties to stay in the game. We don’t want to be the one paying the other player every time we land on another space. Heaven forbid we land on Boardwalk loaded with hotels! We don’t want to go bankrupt! Oh No! That is bad.. it means we lost. Right? Bankruptcy = bad. Losing is bad? Our economic and monetary systems have intrinsically built into to them repossession, foreclosure, garnishment, liens and ultimately bankruptcy. This is because of the way in which money is created in our country and the existence and compounding of interest. Like it or not, all money is an instrument of debt no matter where or in what form it resides. In fact, if all debts everywhere were satisfied, there would not be any money anywhere. What would we do then? All modern life in a monetary system is a game of musical chairs for everyone. Not everyone is going to win at life’s monopoly and there is no shame it that. Not winning actually builds empires and shining cities. Vegas anyone? A board game is a few hours of fun. When the game is over, it all goes back in the box and we go to a movie or lay around the house waiting for dinner. But in real life, bankruptcy isn’t about winning or losing, Bankruptcy is about getting a fresh start and recovering from the difficulties of past circumstances. It is about understanding the situations and conditions that brought about the need for bankruptcy and becoming better for it. Forget what you learned about bankruptcy from a game when you were a kid. Bankruptcy isn’t as simple as “good or bad” or “win or lose”. The Merna Law Group helps people just like you recover from having to play the game and we understand what got you here. Let us help you get a fresh start if you ever need one.